In addition to maintaining a high degree of professionalism, each member of our team has a genuine concern and desire to help, which drives their interactions with patients. Our patients continually thank us for putting them at ease, answering their questions and addressing their concerns, and devoting adequate time and attention to them throughout every stage of their treatment. In this way, we strive to exceed expectations, putting our patients and their oral healthcare first. I have been a patient here for 20 years and always feel I am having the best care! From the moment you are greeted by the front desk, the hygienist or the dentist you feel you are confident you are receiving the BEST care! We invite you to learn more about our team members by visiting the sections below. Prevention-focused services are provided by our specially trained and certified registered dental hygienists. 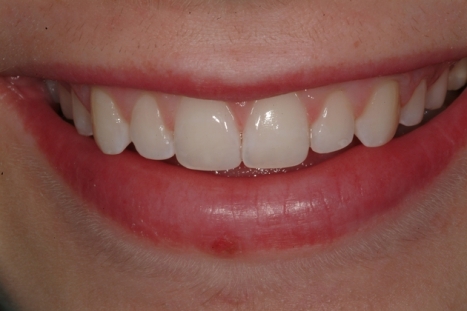 Our goal is primarily to improve and maintain the soft tissues and supporting structures of the mouth. 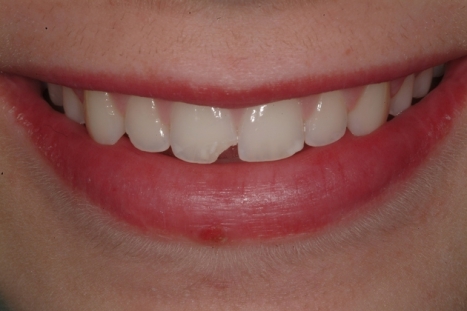 Doing so results in better overall health and contributes positively to tooth preservation. Penelope Mulligan is a native Texan and has resided in San Diego since 2008. She began her college education at the University of North Texas studying Biology and Kinesiology. She then obtained her Bachelor’s of Science Degree in Dental Hygiene from Texas A&M/Baylor College of Dentistry, located in Dallas, Texas. During her attendance at Texas A&M, Penelope traveled under school sponsorship to various rural areas of Mexico, Indian Reservations in Oklahoma, Texas Denton State School (under the auspices of Dept. of Aging and Disability Services), Texas Scottish Rite Hospital (a pediatric orthopedic hospital), and she worked extensively with HIV/AIDS patients from The Nelson Tebedo Clinic in Dallas, Texas. 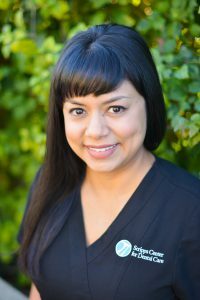 In 2007 with over ten years practicing as a Dental Hygienist, Penelope has worked for the prominent firm Johnson & Johnson Pharmaceuticals (OraPharma) as a Hygiene Educator. Her role was to educate and present clinical information on chemotherapeutic agent to Dental Hygiene programs in universities and corporate/private practices. Since her move to Southern California, we have been extremely happy to have her as part of our team. Penelope is also an avid continuing education attendee. She enjoys seeking out methods to improve the comprehensive care she provides to patients by using new and innovative techniques (i.e. Lasers, Chemotherapeutic Agents), products and philosophies. 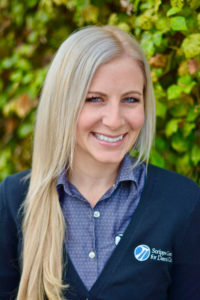 She is a member of The American Dental Hygiene Association and The San Diego County Dental Hygiene Society. She enjoys music, reading, her friends and outdoor activities. Penelope is an avid sports fan and is certified in scuba diving, which she has incorporated in her extensive travels throughout Europe, parts of South America and remote areas of the Caribbean. Not surprising when you meet Penelope, she was voted Social Chairperson of her class. 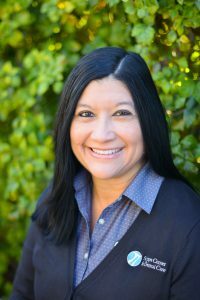 Lucy was born in San Francisco where she entered hygiene training as a business major graduating as the top clinician in her class from Diablo Valley College. Upon graduating from dental hygiene school, she joined the “Flying Doctors” and continues to make trips to serve patients in underserved areas abroad and locally. Lucy’s passion for helping others has led her to volunteer at the Veterans Hospital in Vallejo and Native American Clinic in Oakland. She also created and wrote a public health educational program that was used in scientific studies to improve the health and lifestyle of entire populations. 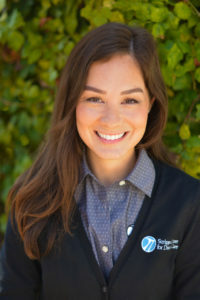 She’s is very passionate about dental hygiene and loves helping patients take charge on their own health and understand the connection between oral health and overall body health. She thrives on building lifelong relationships with her patients based on trust, kindness and compassion. 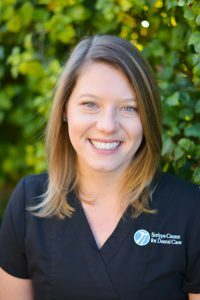 Lucy feels her commitment to excellence has come full circle at Scripps Center for Dental Care where the priority is for patients’ to achieve the highest level of dental care in collaboration with our entire dental team. 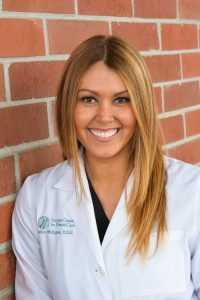 She keeps herself at the forefront of advances in dentistry by attending many hours of continuing education and tailors her knowledge to meet her patients’ needs. Lucy is equally committed to a healthy and happy lifestyle at home as well and enjoys spending quality time with her husband and two boys. As an avid cook “foodie” and wine enthusiast, they enjoy traveling as a family and eating international food. She is also equally at home in the air as a private pilot and enjoys flying the beautiful sky line of San Diego. 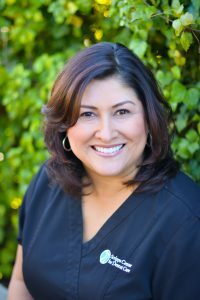 Mrs. Eve’ette Perea started her dental career as a registered dental assistant in 1993. Eager to learn more she earned her Associate of Science Degree in Dental Hygiene from Foothill College, Los Altos CA. in 2004. 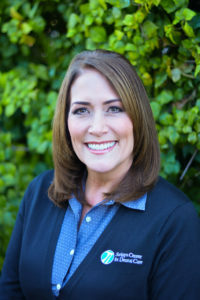 She then joined Lucile Packard Children’s Hospital at Stanford University, where she taught and worked with physicians educating and performing oral cancer diagnosis and treatment. 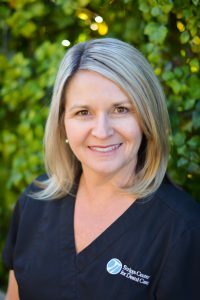 She is an active member of the San Francisco Dental Hygiene Society and the American Dental Hygienist Association. She also continues to perform dental hygiene as community service for the underserved. 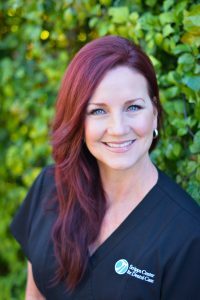 Eve’ette has many years of experience working in all aspects of dentistry including Cosmetic, Periodontal, Oral Surgery, and Endodontics. Her style of practice matches well with Scripps Center for Dental Care, with a focus on quality and encouraging healthy decisions while keeping patients relaxed and comfortable. 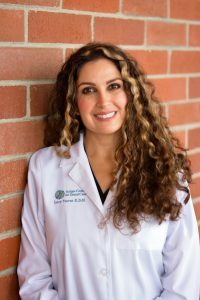 She is fluent in Spanish, and proficient in Italian, Farsi, and Portuguese and quickly establishes a relationship of trust and transparency with her clients that provides an opportunity to educate them about their oral health. 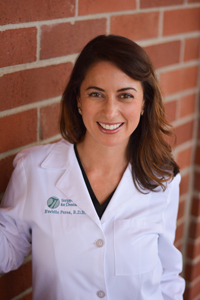 She understands the correlation between dental health and overall systemic health with a goal to inspire patients to take ownership of their own dental health needs and improve their overall health. 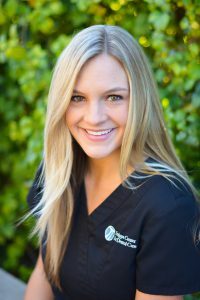 She aspires to provide each patient with a unique customer experience and helping them to understand the value of good oral hygiene. Eve’ette is an avid writer and has a published book called the “Power of Mystery: A Coccinelle’s Way of Life” and she is currently writing her first dental children’s book with the Academy of Art. She spends her free time with family and friends traveling, cooking, hiking, and doing yoga. She also enjoys dancing, listening to music, learning more languages or just reading a good book. She is newly married and a mother of two children. At the Scripps Center for Dental Care, our team works together as a family. When you visit our practice, our friendly office coordinators will make sure that you’re well taken care of. We will make your scheduling and visiting the practice as easy and convenient for you as possible.